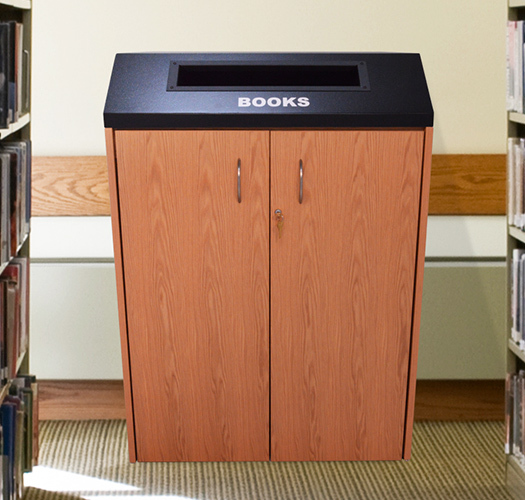 Take your collections back with indoor book and media returns. Choose from stationary returns, rolling returns, wood, and metal. Looking for something bright and colorful to match school colors or your existing library design? Check out our ColorWood line. If you’re looking for something higher quality, we have DuraWood our hand stained wood line that can be stained to match any existing furniture you have. Our Drop & Roll and EasyRoller book drops are cost-effective, mobile, and feature ergonomic design for easy uploading. ColorWood returns are made of melamine laminate that is scratch and stain resistant to hold up well to abuse, even in high traffic areas. 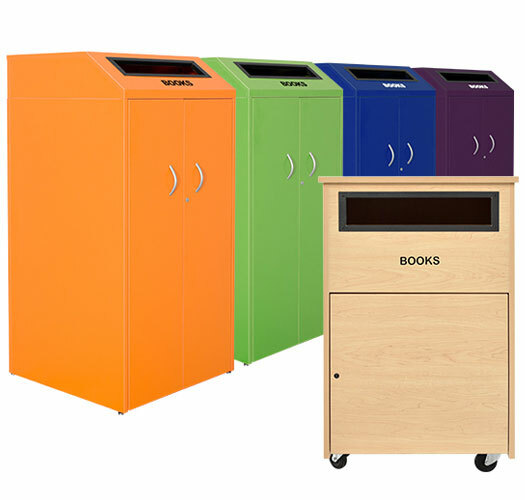 Choose from 8 different colors and 3 wood grains to match your existing library furniture or your school’s colors. The DuraWood line is our premium interior wooden book and media return series. This furniture-grade quality line looks beautiful with hand stained oak veneer and includes additional features such as a depository chute to help guide books properly into the cart. 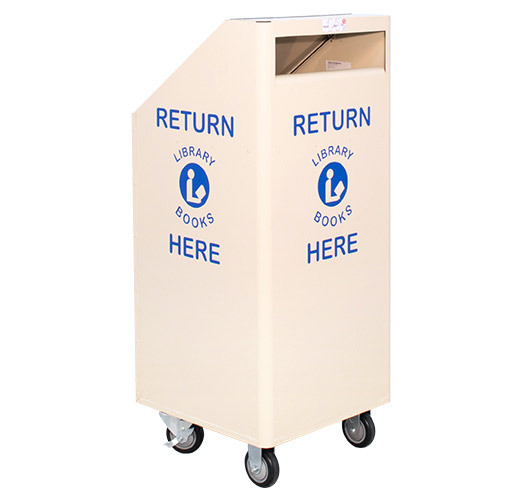 Our Indoor Metal EasyRoller Return is a simple and small indoor return that can be easily moved to where you need to take collections. This unit features a soft canvas liner that catches collected items combined with a CushionDrop float tray system. Available in 6 powder coated colors. A cart and book drop all in one. 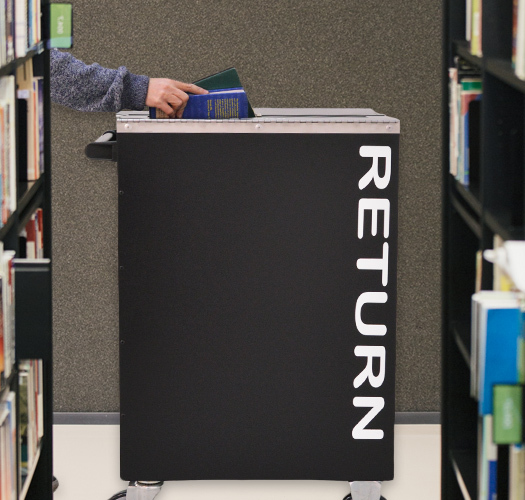 The Kingsley Drop & Roll line of book return carts come with a two-flap metal lid with an opening for collections. These versatile carts allow you to accept returns anywhere they are needed and then roll it away to check-in. Available in High Capacity and EasyRoller cart series.